Kre-Alkalyn EFX - Performance enhancer from EFX. 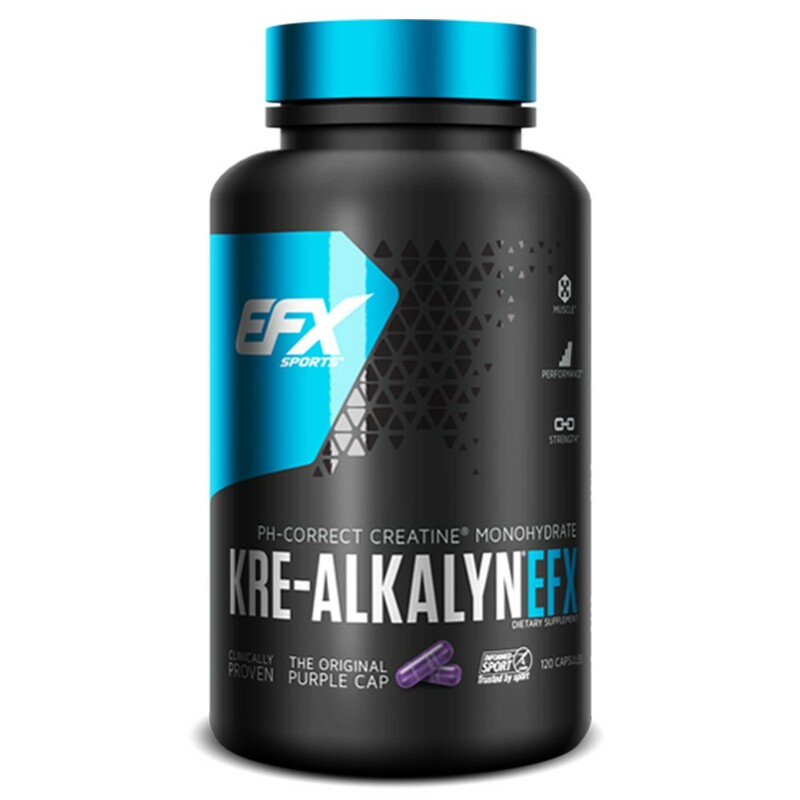 Kre-Alkalyn from EFX will drastically improve your focus in the gym. When it comes to intensive strength increase, this is an unbeatable performance enhancer. Train heavier and harder, and enjoy the results! It was clinically proven to provide 28% more strength than ordinary creatine monohydrates. Kre-Alkalyn has several advantages compared to the regular creatine, thus does not have side effects experienced by people after using creatine monohydrate. Kre-Alkalyn is 100% stable creatine that is not converted in the body into a by-product creatinine. This means that creatine is absorbed more efficiently. Kre-Alkalyn allows athletes to consume smaller portions and at the same time get great results. Kre-Alkalyn has a pH above 12 due to its molecules being synthesised using a "buffered" agents patented technology. As a result, Kre-Alkalyn creatine remains completely stable and rapidly penetrates the muscle cells. Studies have shown a significant increase in the concentration of creatine phosphate after use of Kre-Alkalyn daily for two or more days. Kre-Alkalyn as well buffers lactic acid. Take 2 capsules daily, or 1 hour prior your workout. Efx makes holographic performance technology and offers them to athletes in wristband format to relieve pain and enhance performance. Their stylish products are worn by professional athletes and celebrities from around the world. Now available in more than 30 countries EFX, available at GymNordic, is a company that is about quality and innovation from beginning to end.